I’m now finishing so many projects that I hardly manage to keep up with it here. 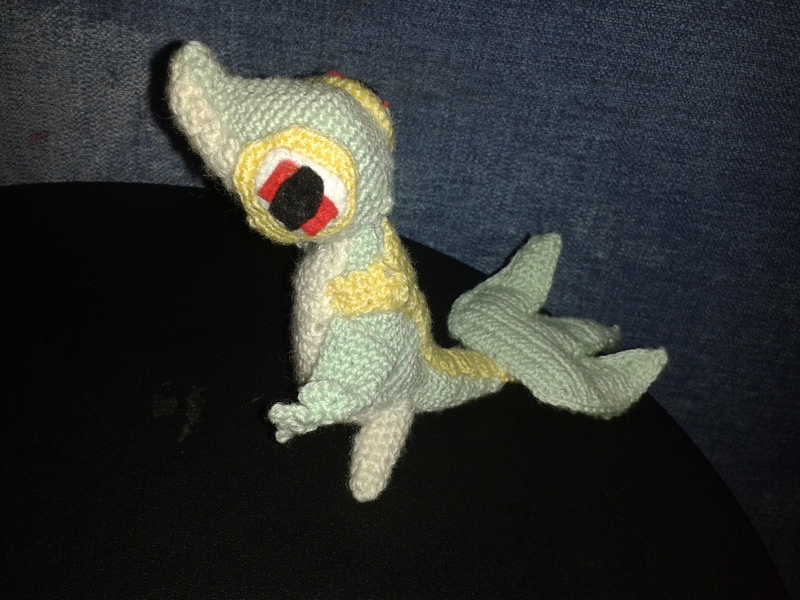 So here’s another toy I made for my son, it’s one of the Pokemon. When I was looking for the pattern, I realized that both French and English translations of Pokemon, do not use original names for most of characters (apart from Pikachu and Iris, it seems – this is in Pokemon Best Wishes). Anyhow, here’s it. I used this pattern. I found some parts too fiddly and simplified a bit. Also, my row gauge seems to be very different when working in round and flat. So some of the sew-on parts didn’t fit properly. But all in all, given that it’s not an easy shape, I think the pattern is really good. 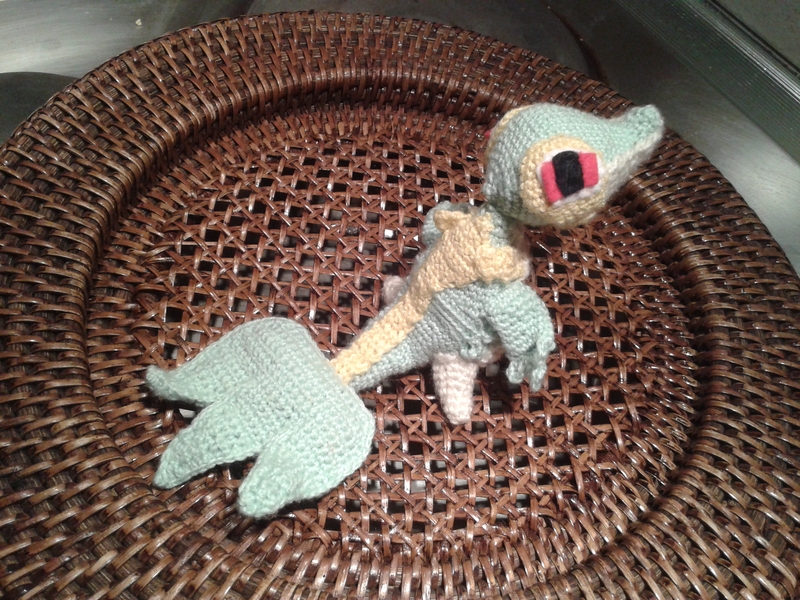 Separator image Posted in My kniting & crochet and tagged with amigurumi, crochet, pokemon, snivy, tsutarja, vipillierre. I wish it were summer already!